Solidarity with the Workers! On Wisconsin! 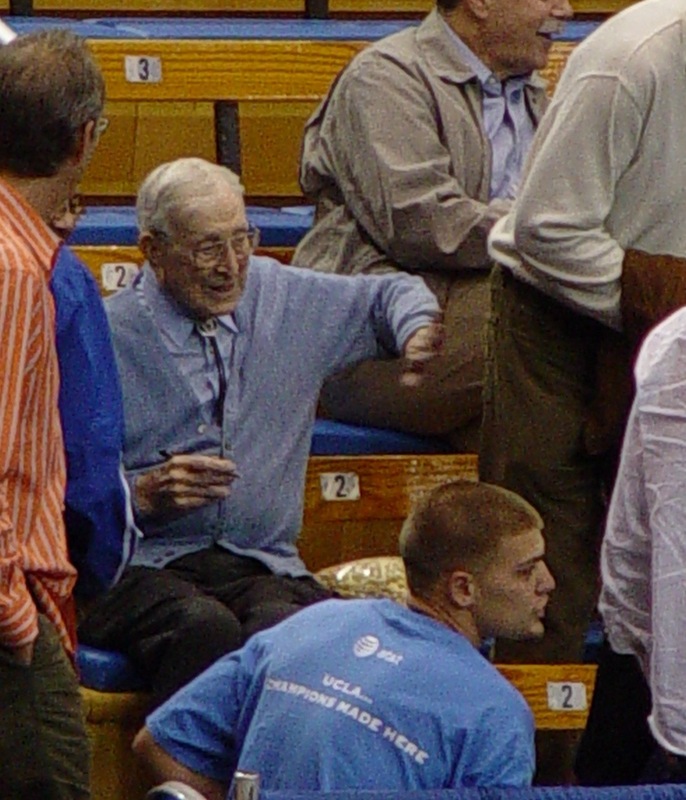 Bruins - Great Final Game at Wooden's Pauley Pavilion! 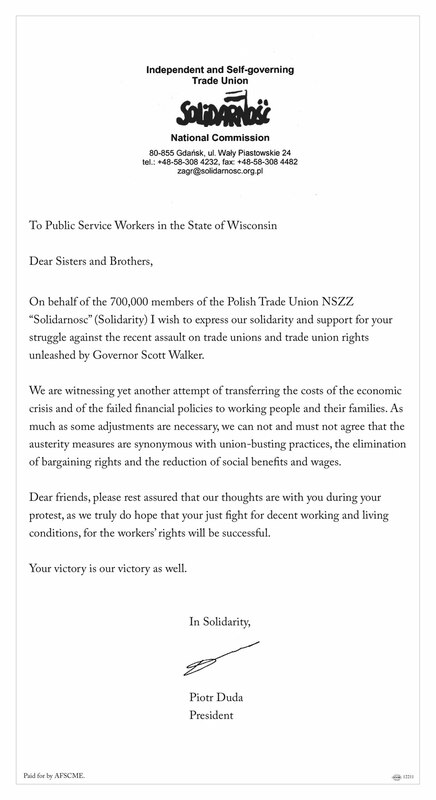 On behalf of the 700,000 members of the Polish Trade Union NSZZ “Solidarnosc” (Solidarity) I wish to express our solidarity and support for your struggle against the recent assault on trade unions and trade union rights unleashed by Governor Scott Walker. We are witnessing yet another attempt of transferring the costs of the economic crisis and of the failed financial policies to working people and their families. As much as some adjustments are necessary, we can not and must not agree that the austerity measures are synonymous with union-busting practices, the elimination of bargaining rights and the reduction of social benefits and wages. Dear friends, please rest assured that our thoughts are with you during your protest, as we truly do hope that your just fight for decent working and living conditions, for the workers’ rights will be successful. Your victory is our victory as well. 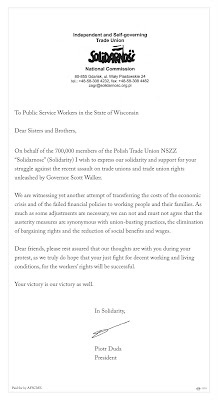 Last week I was proud when many of my current and former teammates announced their support for the working families fighting for their rights in Wisconsin. Today I am honored to join with them. 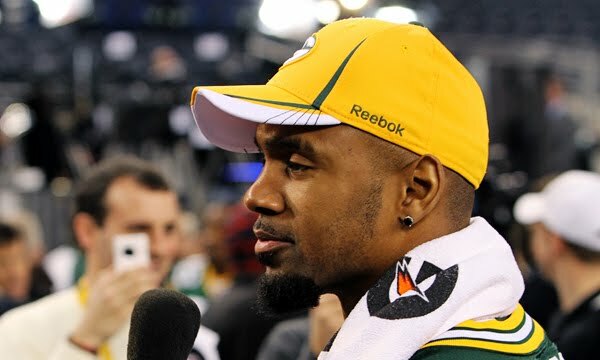 It is an honor for me to play for the Super Bowl Champion Green Bay Packers and be a part of the Green Bay and Wisconsin communities. I am also honored as a member of the NFL Players Association to stand together with working families of Wisconsin and organized labor in their fight against this attempt to hurt them by targeting unions. 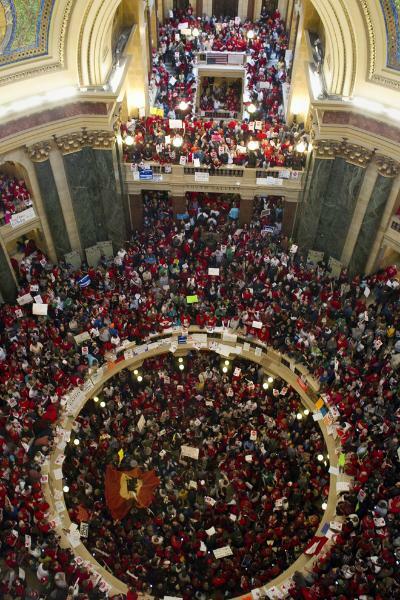 I hope those leading the attack will sit down with Wisconsin's public workers and discuss the problems Wisconsin faces, so that together they can truly move Wisconsin forward. Wisconsin Protests Set to Arcade Fire's Song "Rebellion"
This one is for my cousin Anne Johnson who has been at the Capitol building in Madison each day this week. Keep the faith. As Wisconsin goes, so goes the country. Today we are all Wisconsinites! Labels: democracy, hope, tcot, unions, Wisconsin, wiunion. p2. I enjoy the writing of Adam Gopnik. His current piece in the New Yorker, How the Internet Gets Inside Us, delves into the spaces between man and machines: between the internet and inner self. Today the New Yorker hosted a chat with Adam Gopnik. I found the conversation to be fascinating and have archived it below. 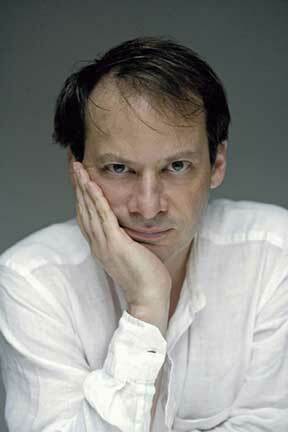 The New Yorker: Adam Gopnik will be joining us shortly to discuss the Internet. For now, please submit your questions. 2:00 Adam Gopnik: Hey everyone. Glad to be here for the slightly ironic-meta purpose of carrying on a conversation on the internet about the uses of conversations on the internet. Let me start taking questions. A.G. When did you first start using the Web? Were you a late or early adopter? 2:01 Adam Gopnik:: Early or late? Somewhere in between I suppose. I went on e-mail in the mid nineties while living in Paris-- my life is now composed of nothing but e-mail and caffiene-- but only really started being addicted as the world did, in the early noughts. Are you in the prognostication business? What’s the future for the printed book? 2:02 Adam Gopnik: Wish I knew. I live for books, love books, and cannot imagine a world without them. The book to my mind is the ideal technology -- you take it with you from window to table to bed -- and I love everything else about them: spines and turned pages and smells. I love how you describe Internet commenters. Have these kind of forums made us less polite in real life face-to-face interactions as well? 2:03 Adam Gopnik: I doubt it somehow. I think that there's a kind of abashed moment when virtual friends meet, and no doubt an equally abashed moment when internet opponents meet. Do you consider yourself to be a Never-Better, Better-Never, or Ever-Waser? 2:05 Adam Gopnik: This I see has come up in several questions. I don't know...to be brutally honest I am something more of a skeptic than the form of the essay quite encourages, but also , as I say, something of an addict, and altogether a fatalist in any case. Like every parent, I worry myself sick about the dissapearance of books from our kids lives, and , like every parent, I wonder what a world made up of pixels will produce. But, like every amateur historian, I know that these changes are the stuff of life, as I tried to document in the essay, and that wishing them away is like wishing away the tides. So....still in the middle , I suppose. How has the web changed your processes for writing a piece? 2:06 Adam Gopnik:There is, as I suggested, something semi-miraculous about Google. I find myself wondering what Hemingway wrote about winter sports for a project I've embarked on, and two seconds later, boom, there it all is. That's wonderful-- magical! But the slogging hours of the writing day never alter or lessen or, really, change much. 2:09 Adam Gopnik: This I think is an important point, which my friend and colleague Malcolm Gladwell has been arguing through recently , so let me take a moment here to say as precisely I can, if at length, what I think is up with that. Malcolm can speak for himself better than I can speak for him..but the issue isn’t whether people in Egypt or wherever used Twitter or whatever to communicate. Of course they did. But they used cassettes or faxes or pamphlets or whispers in years past and would have used them now if that was the easiest tech available. The Oath of the Tennis Court. Musée National du Chateau de Versailles, Versailles, France. The issue – the only issue -- is whether the availability of those new media actually changed the likelihood of their formenting social revolutions, or altered the outcomes of the ones they did. And there is no evidence of any kind , that I've seen at least, to suggest they have. 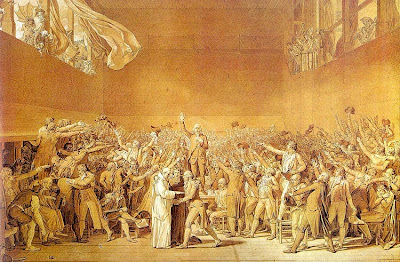 In truth, every popular social revolution/movement/regime change due to since at least the French Revolution has followed the same pattern: a government weakened by war or financial crisis or both meets popular resistance which for the first time takes in members of the elite and the masses; they find a meeting space and occupy it – could be the Square or the Tennis Court – then, in the crucial moment, the army ,called on to disperse the “mob”, identifies with the cause and refuses; the government is forced to surrender. Sometimes the army – Peking 1989 does—sometimes – Moscow, 1991 – it doesn’t. 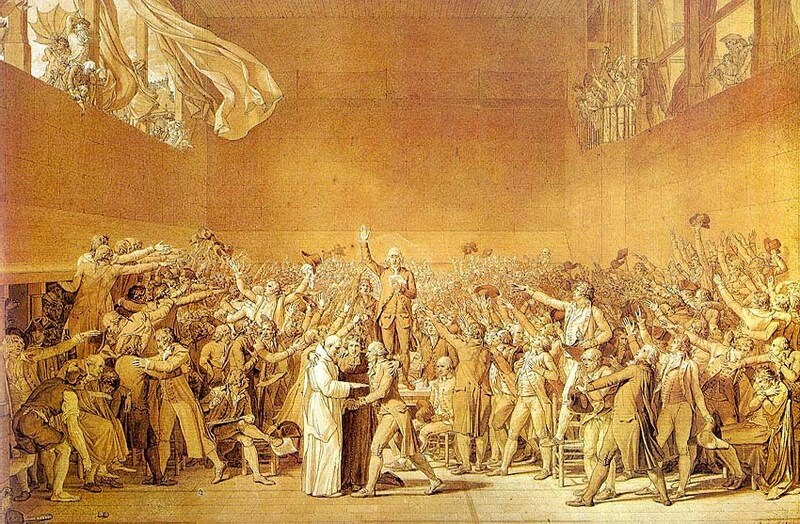 On that decision – complicated in motive – turns the outcome of the revolution. (Then, most often, in depressing truth the best organized and most motivated of the parties on the opposition side – Jacobins or Bolsheviks or Mullahs – no matter how unrepresentative takes over in the period of chaos that follows the revolution.) This is the pattern that was in place in Tunisia and Cairo, as it was in St. Petersburg in 1917 or Paris in 1830 and 1848 and 1871. Why the army , who the regime had trained and fed and paid to do just that ,didn’t disperse , i.e. massacre the “mob”is always the fascinating question. 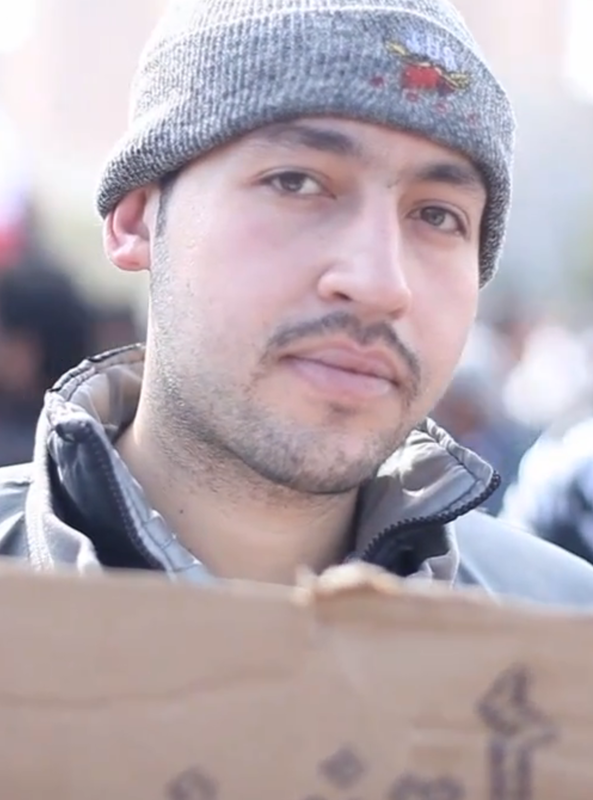 In Egypt , it seems to have been prudence; in France, widespread dissastisfaction with the economic conditions. Historians and sociologists in fifty years time may see that more social movements were begun , or fewer – or that more that did begin succeeded. If that’s the case then for good or ill (because after all, most popular movement do not have benificient outcomes for the people who started them) social media will have had an outcome. If the number is about the same, and the outcomes about the same, then the truth that revolutionaries used Twitter or Facebook will be of the same consequence as that they once wore Phrygian caps and now wear tee-shirts – an interesting detail about the décor of the time, but not a crucial determinanat of anything. The notion that because people used Twitter therefore twitter made the revolution is so nakedly ridiculous that it is hard to believe that grown-up people are seriously proposing it. What did you mean by your closing comment...that's it's not about the toast, it's about the butter? 2:10 Adam Gopnik: I meant merely that , as it says a sentence or two before, that the content of our ideas -- the butter -- is more important than the containers, or vehicles --the toast-- that carries them. For a while I thought of writing " butter and jam" but thought that went a food image too far. Hi Adam, loved the piece, which I thought was fabulously well-written and researched and made my brand-new UK subscription of the magazine worthwhile! I think the article really took on a life of its own once you chipped in with your own point of view after rehearsing the various opinions of the different camps, and the toast/butter ending was a poignant flourish with which to end. I'm curious how much your opinions changed the more you delved into theNever-Better/ Better-Nevers Ever-Waser camps - how much were you pushed/pulled by what you read? And finally, what are your opinions about reading magazines such as the New Yorker in digital format? 2:13 Adam Gopnik:: Thanks. As I struggled to say a moment ago -- and the difficult thing about these chats is that you find yourself re-writing badly sentences that you struggled for months to write well!-- there is a kind of built in space between my actual emotions -- which include a lot of parental fear about the loss of books, silence, space -- and my evolving ideas, which recognize the "ever wasness" of it all. So I live now as a kind of Better-Never Ever Waser, with forlorn hopes of seeing Never-Betterism proven true. I would love to believe that the substance is all that matters -- and I do think the butter matters most -- and that the transition of The New Yorker or any other good magazine or newspaper to the new digital format will leave the content untouched. But I shudder as I see the future, and am skeptical that we can make the change without losing something on the way. But I am game to go, as we all must be. I have found that what you call information is,from a technical pov, sometimes completely erroneous(as in energy cycles on Wikkipedia). Books are much harder to overwrite with a different message. Isn't this a big advantage of books? 2:14 Adam Gopnik: An interesting thought. Yes, I suppose so-- though of course books have been mines of misinformation , creating mountains of misery, for millenia. 2:14 Adam Gopnik:: Or less. Getting back to the 'butter' or the content of our ideas. Isn't it possible that the butter we can create now, in the age of the internet, is just not as good? I mean, I'm finding my ability to concentrate on books or to think deeply, has been diminished. Your thoughts? 2:17 Adam Gopnik:: There are scary days when I fear you're right , and I put down my own scattered mind and tattered nerves not to the press of life and deadlines but to the machines we're attached to. I was serious about the Unplugged Sunday business -- think it's as good an idea as Meatless Monday, and we try ( and often fail) to put it in operation at our house. But concentration is mutable and maybe has more to do with insomnia than new information, at least with me. Do you think that the internet is the most important technological advancement after the discovery of fire? 2:18 Adam Gopnik: No. I think that instant replay was the most important tech advance since fire. More important , maybe. You can't go back to the fire once it's out, and you always have the replay. Can book publishing survive ebook piracy? Will the internet's effect on the book publishing industry be even worse than the effect on the music industry since publishers cannot make up lost sales revenue with 360 deals that cover touring? 2:19 Adam Gopnik:: Oy! A worrying thought. My hope is that it was really "disaggreation" , which I'm sure I just mis-spelled , which killed the record business: suddenly, we all found ourselves in effect playing old 45s , singles. A book still comes at us a whole -- nobody wants to download a chapter of a Franzen or a Roth -- and I hope that will save our bacon. 2:20 Adam Gopnik: If not our butter. What happened to my question that I sent at 2:15? Could you comment on the effect of our highly visual media's effect on gender roles? 2:21 Adam Gopnik:: Sorry, Susi; so many questions coming in here that I have to blip by some on the way to urgent others. Of course, as the father of a daughter (and son) I share your worry. We do seem to be offering kids sexual role-playing, and info, way too soon. That said, I notice that my daughter , in love with Justin Beiber, is more like her mother, in love with Mark Lester forty years ago, than one would have thought possible. Perhaps language and adolescent crushes are the two universal human traits. I think what's particularly poignant about the article is the fact that for just one second you hold up your hand, ask for a time out, and assess the state we're in, whilst simultaneously acknowledging the inevitability with which we as a species enthusiastically - and perhaps that inevitability feels more troubling the older you get. 2:23 Adam Gopnik:: Inevitablities crowd in on us the older we get, until that last great inevitability of all claws us down. Meanwhile, there's just the comedy of living,including the comedy of information. Adam, My teenage son and I loved the part in "Through the Children's Gate" where you misused the internet initialism LOL. 2:23 Adam Gopnik:: That was probably more precise, and on point, than the long essay. It exists, he advertised shamelessly, as a MOTH podcast as well. Thanks. Oh, yay. Computer glitch, no doubt. It seems to me that insults are more easily hurled at women, and with the increase in insults comes an increase in misogyny. I don't know how girls navigate it. 2:25 Adam Gopnik: I don't know how anyone navigates it. But when I look at Kids Today, I see more resourcefulness , and a greater reservoir of irony, in the face of things that trouble me than I would have feared. They are native speakers of the new technology, where we are second-language users, and , like all native speakers, they know the secret corners and double-takes and deadpans of their tongue. Back on the recording industry - obviously the demise of the traditional recording company is inevitable and the rise of the independents is here and now. Have you any thoughts on where that is going? 2:26 Adam Gopnik:: One of the joys of my life is sharing -- that is , learning about -- new music with my son. It's stunning to me, and weirdly heart-lifting, that with all the difficulties of the "business", the connection between musician and listener -- between my son and his beloved Strokes -- is not just intact but more constant than ever. An encouraging thought for writers though,as you say, we don't have the option of touring -- or rather we do, but only to empty chairs in poignant indy bookstores. Oops - last question was sent unfinished! I think the poignancy of the article comes from the sense of the crushing inevitability of technology and the latent observation that we as a species hurtle forward, enthusastically accepting all new forms of technology and in the process giving up/losing something of the past - something elegiac about this. With this in mind, which of yesteryear's technologies would you suggest we resurrect on our Amish, internet-free Sundays? 2:27 Adam Gopnik:: Uh--reading unfamiliar books about familiar subjects. Japanese novels on the family; Russian memoirs of childhood; Slovenian research into adultery. Loved your article, it's so timely with all that's happening around us, in politics, economics, and culture. Your "butter" statement reminds me of Annie Hall, and that wonderful line at the end where Woody reflects on love, and that joke about a fella with a crazy brother who thinks he's a chicken. Guy's doctor asks, "why don't you turn him in" and guy says, "I need the eggs." We all need the eggs--with something as wild, irrational, crazy and absurd as love--and the Internet. 2:29 Adam Gopnik: Hadn't thought of that. But in my book you can't quote, or borrow, or refer, too often to "Annie Hall". That was the "Battleship Potemkin" of my teenage years. Back to the topic of over-writing "fact" with different messages e.g; on Wikipedia: does that mean there are no more truths, or are we entering an era of increased acceptance of diverging viewpoints? 2:30 Adam Gopnik: Diverging viewpoints are fine, and we've always had them. What worries me is the spread of information (i cited Shakespeare authorship and the Shroud of Turin in the piece) where the truth is known but the lies keep coming. Evolution and creationism. A kid going on line to do research on the Second World War is one fatal click away from negationism. That's worrying. 2:30 Adam Gopnik: Haven't read it. Will do so. My M.I.L. from behind the Iron Curtain wisely said about us newlyweds: "The problems we think they have aren't problems at all; and their real problems are things we can't imagine." Still, it's fascinating to watch and imagine. What else is life for? 2:33 Adam Gopnik: What worries me -- my goodness, seem to be using the verb "worry" a lot in this chat -- but what worries me is the spread, the break, that's happening between elite education, which bounces along on its meritocratic basis, and all the rest of us. A country divided into A pluses and C's cannot long stand. I personally believe that the inevitable fall of "traditional" media -call it books, magazines, news papers, music- is something as unavoidable as any other generational and technological change that has come along. But here in the developing countries we see it as an equalitarian change, as it will, if no already, provide us with access to information we never thought possible. So my question is, in essence: How do you feel about creative commons, freedom of information, abolition of copyrights and even piracy, as a medium of redemption for us who cannot have access to information with the traditional media? 2:34 Adam Gopnik: Well, obviously, the more news-novels-stories -opinion are more often in more hands , the better the world is. The trick is that all those "content providers" , to use that hideous jargon, must live ,too. At some point, the naches, to use a favorite Yiddish word, provided by the Huffington Post to its bloggers will not be enough, and then we will be dependent not on those who think and write , but on those who don't think and write anyway. If butter is important, and toast less so, have you thought much about the interaction between the particular brands of toast and butter used? Apologies for spreading your metaphor too thin. Does the internet foster shallower content? (It sure churns out and popularizes endless news content, much of it soon forgettable). 2:37 Adam Gopnik:: Metaphors are like jokes; once they make their little effect, they won't stand too much close analysis. But , yes, the thinner the toast, the less butter it holds. But then we could put jam on it so....escaping the traps of imagery, I don't think that the internet demands shallow content. It's just that the impatience it enforces is best suited to it...but , look, we publish long stuff on the New Yorker website all the time, and people cotton to that. Of course, I worry -- that word again! -- about the three hundred word bit moving out the three thousand word musing. But I think that a minority, anyway, will always want the real thing -- and minorities, in a world as vast as ours, can often be counted in millions. I read the term 'Lifecasting' today. Interesting concept. 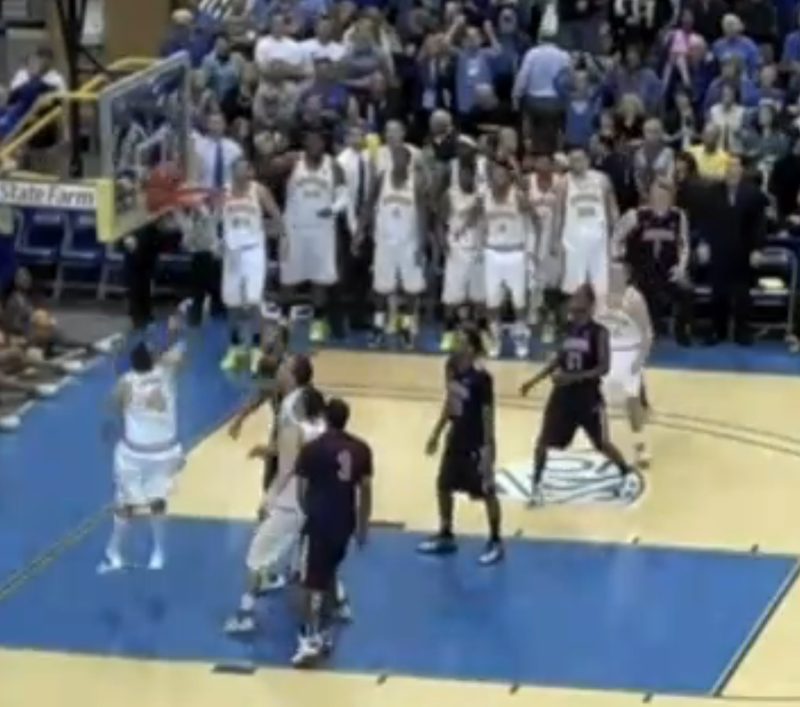 Is this the new buzz word and really - is it just what Josh Harris did years ago? 2:38 Adam Gopnik: I have a dormant twitter account -- dormant because I am never sure what to tweet. We went out to dinner not long ago with a well known television personality -- and she had a sub-tweeter, a designated tweeter, of her own! Not merely lifecasting, but subsidary-rights lifecasting. What did we do before we read about sports online? Adam Gopnik:: We argued about them with our friends . Our face-friends, I mean -- is that a term, by the way? Should be. Does the sub-tweeter make it up as s/he goes along or is there a style sheet to follow? 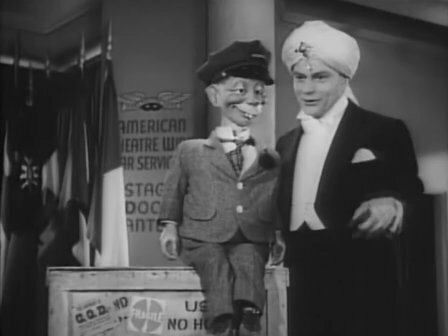 2:41 Adam Gopnik: More like an impersonation -- your job in life, in that role, is to be a kind of benign Mortimer Snerd, sitting on your chief-tweeters lap. 2:41 Adam Gopnik:: Well. I meant "face friends" meaning those whose faces we know. 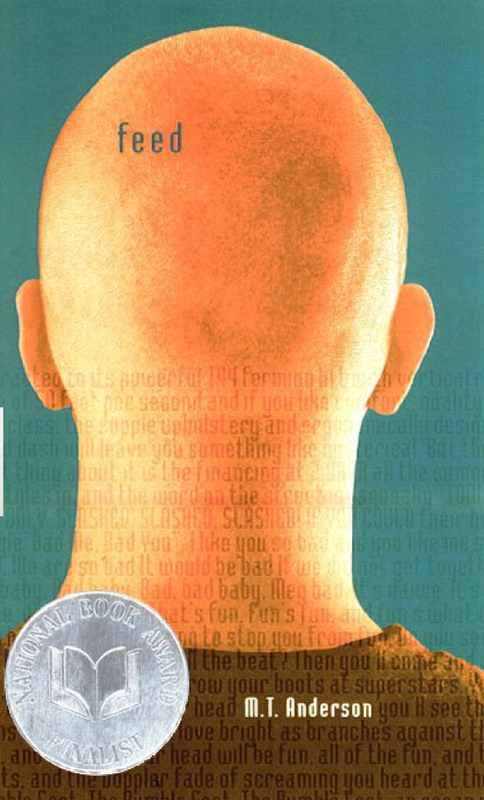 Are there novels being written now that capture what this digital life feels like? Adam Gopnik: Good question. Are there? In movies particularly, people , movie-makers, are always trying to insert the Internet into their work, but it always ends up being painfully anti-dramatic, since it's just....somebody typing! The ultimate revenge of the secretary -- in a Julia Roberts rom-com, the heroine now has to type like a fiend just to be in time. And should there be novels written now that capture what this digital life feels like? Adam Gopnik:: It is, or was, the novelist to whom we turned for news on the texture of life -- not news that stayed news, as I think Bellow said, but news that stayed alive. Who in recent fiction has tackled this particular stretch of texture? Does the internet promote uniformity? I am thinking of the kid isolated in a small town who may not have any connection with art or music scenes who can instantly connect with established artists and directly interact instead of spending years isolated. 2:45 Adam Gopnik:: Well, yes -- but surely there's something to be said ,too , for that kid (the young SInclair Lewis, V.S. Naipaul, Scott Fitzgerald, Harper Lee, whomever) having the boredom to explore his own world without the instant gratification of the "top:. If you don't enjoy bad Beethoven concerts played by the local quartet, you won't enjoy the great ones eithe r- -won't know what makes them great. Boredom and amateurism are great incubators of art. It seems as though the rise of digital culture, this revolution, is much more tied to a consumer mindset than other, maybe more real revolutions. 2:46 Adam Gopnik: Interesting point. Yes, the technological revolution is also a consumer revolution. Our neurons may be altering, but Steve Jobs is profiting. 2:46 Adam Gopnik:: Not that I begrudge Steve Jobs, whose goods fill my desk and life and who should get well soon. I wonder what role the Web has played in this new Twain mini-fad, which you so adroitly harpooned. 2:47 Adam Gopnik: Well, I was sure that someone would say that the great Twain's very-much-lesser autobiography was a prescient form of blogging, silly though that would be to say, and sure enough, they said it. Slack sentences attract slack sentences as lint attracts lint, I suppose. Any thoughts on "mommy bloggers" and others who obsessively document the lives of their families for the entire world to see? I viewed one today and thought, is it ethical that this mom is taking photos of her child's broken arm to post online? Will this child be totally cool with this in 5,10,20 years? 2:49 Adam Gopnik:: Well... as one who has written on auspicious occasion -- some would say on too damn many auspicious occasions -- about his children, I would say that being obsessed to the point of crazy with your kids is just normal parenthood. With children as with all others we write about: we owe them our best and fairest and most compassionate account,and if we give them that, how much pain can be caused. But there comes an age and time (of theirs, I mean) to stop. 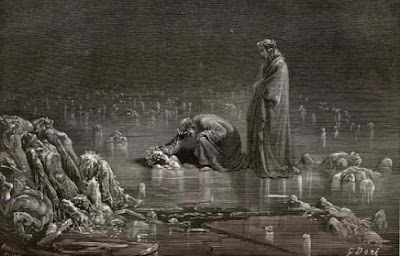 As a classical Greek scholar (ex), I immediately recognized the prole bias of the Christian New Testament when I read it - a popular "book". This analytic comparison of comparing translations tells alot about translators What do you think of the translators and filterers on the net? 2:50 Adam Gopnik:: Sorry -- do you mean the literal translators -- the ones that go from French to English or whatever? THey're better than they used to be, but still so far from good that they present a daunting case for the difficulty of language. Speaking of Twain, what explains the popularity and positive reviews of that book? 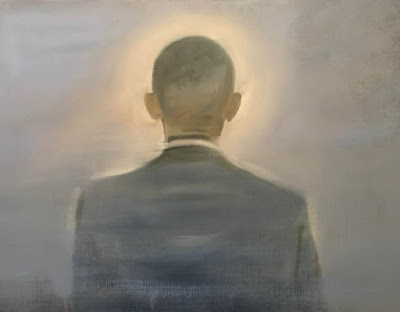 2:51 Adam Gopnik:: People love Mark, and with good reason -- no one more than I -- and they also love our "Founding Fathers", as every cynic with another book about 1776 knows. 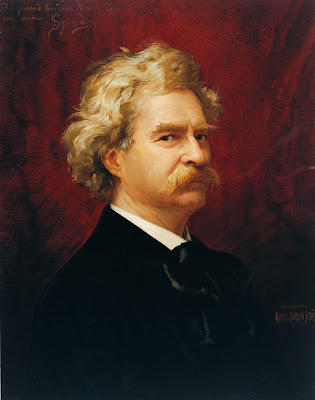 Twain is the closest thing we have to a literary founding father. Our writin' John Addams. Apart from that , I suppose people bought the book and didn't read it. As we discuss "the abolition of copyrights", the free flow of information, music, film etc… we obviously need to worry about the average musician. Can we, or should we, be - instead of fighting it and blaming record labels and/or the "perpetrators" - asking our government to approve of what is happening, agree with this flow of information, praise it; Obama talks about nationwide wireless, that is one step to our government's and generation’s willingness to embrace “this”, but it needs to go deeper. What if we created some kind of subsidization for the artists, similar as in Europe, but a 2.0 version of it where the average musician talked about earlier can have his music flowing online while still paying his rent. What do you think about the government’s approach to “how the internet gets inside of us? 2:53 Adam Gopnik: You know, I 'm mostly ignorant of the fine points. But i have been told just recently that , for instance, PANDORA, the wonderful internet , self-generation"genome" music service, is making money at last -- and I assume that some of that at least is going to the artists who make the music. The more we "monetize" , the more the muse is served. How much longer will this interweb fad last? 2:54 Adam Gopnik: Wouldn't it be wonderful -- i.e. startling and appropriately comic-cosmic -- if the Internet turned out to be the CB radio of the oughts? do you think the internet and web 2.0. are blurring the lines between high and low art? are they giving more eclectism to people's way of entertainment, meaning that now people can pass easily from Shakespeare to Avatar for instance? What is the role of internet in the democratization of art? 2:56 Adam Gopnik: Hmmmn, big question. 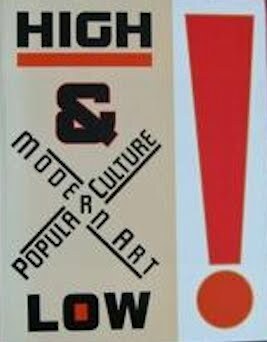 Years ago -- years and years and years ago -- I wrote, with the late Kirk Varnedoe, a big book about "High and Low" to go with an exposition at MOMA, and the theme of that book, produced by years of research, was that the dialogue between pop culture and difficult art was permanent, cyclical, and surprising. So it's less likely to produce easy passage than surprising collision. As with the amazing-looking Dante's Inferno video game, from EA. A common accusation levelled against Twitter, Facebook, et al is that whilst the technology does connect people, the connections are superficial, transient - it's esp. interesting how quickly people get riled by discussions of how social mores are evolving (frequently, but not always, with divisions across youth lines). Taking a straw poll of NYC intelligentsia/literati - the New Yorker staff! - what would you say is the general consensus (if there is one) about Facebook and/or Twitter? Do people tend towards scepticism, generally speaking? And more importantly, are deadlines being missed as a result of the echo-chamber of digital distractions? 2:57 Adam Gopnik: To take a poll of New Yorker staff would involve interfering with the writing days of a lot of scowling and exhausted-looking writers, so I won't attempt it. But on the whole I think that ours is a community of enthusiastic adopters, with uneasy consciences that what they are adopting might prove to be arsenic to what they make. Adam Gopnik In Google We Trust. A decent motto. Certainly Out Of Many, One, is the Internet theme as well. You can get superb bird-identification apps for your iPhone now. Which you then take deep in the forest, leagues from human contact, man alone in the wilderness, and....check your signal. Is this different to carrying a bird book in the same circumstances? 2:59 Adam Gopnik: I think not...do you know of the OCarina App, which you make music on , and can then hear other ocarina music being played simultaneously all over the world. The whole world humming in your hand! IF that isn't sublime, nothing is. 3:00 Adam Gopnik Yes, indeed. For those seeking specifics -- as opposed to those engaging in emnities - the internet is a truly Rowlingesquely magic thing. Bless it and its users, and all of you from jumping in here. Speak again soon. Yes. And art is bursting out both to the people and to the others. Thank you. After winning Best New Artist at last night's Grammy Awards, jazz artist Esperanza Spalding's career is set to explode. Below is a beautiful clip of Esperanza performing at the White House Evening of Poetry, Music, and the Spoken Word on May 12, 2009. Esperanza Spalding performs “Tell Him” on the double bass at the White House Evening of Poetry, Music, and the Spoken Word on May 12, 2009. "Mubarak, Ben Ali, now it's time for ..."
"For all of its empty talk about Egypt, the government of Iran should allow the Iranian people the same universal right to peacefully assemble and demonstrate in Tehran that the people are exercising in Cairo." "Riding on the back of a motorbike, holding my mobile to take video footage, I went to central Tehran on Monday afternoon. My driver skilfully found back alleys to reach Azadi (Freedom) Square, the Iranian counterpart of Egypt's Tahrir Square. Thousands of people made their way amicably and silently towards the square, most of them young. Many wore trainers, suggesting they were anticipating having to run away from the security forces to escape arrest. Riot police began to disperse the crowd before they even started the rally. Men on motorbikes belonging to the police and Republican Guards charged the protesters and beat them severely with batons. However, this merely emboldened them. When the troops fired tear gas at the crowd, it became very difficult to breathe. Some girls and women fainted. Many of the protesters were also detained. Others set rubbish bins on fire to combat the effects of the gas. My driver was hit by a paintball fired by a policeman and lightly injured, but he was still able to drive me back to the office. Once there, I was shocked to see that official and semi-official news agencies were saying everything was normal when for a couple of hours there had been total chaos." Nice to see a real Indie band win a major award at the Grammys. Congrats to one of my faves: Arcade Fire! These life-sized masks are from a series found in the workshop of the sculptor Thutmoses in Achet-Aton (today called Amarna) in Middle Egypt. Amarna was the capital of Egypt during the reign of Pharaoh Akhenaton and Queen Nefertiti. The portrait study of a man in the upper left of the photo provides an interesting view of Thutmoses' artistic process. First a cast was taken directly from the sitter's face and then a gypsum copy was made from the mould. The gypsum sculpture was then brought to detailed completion. In this installation of ancient sculptures, we are directly confronted with the real faces of Egypt. Even if the sitters' names and identities have been lost to history, their muted presence seems to express the events they have witnessed and the stories they could tell. 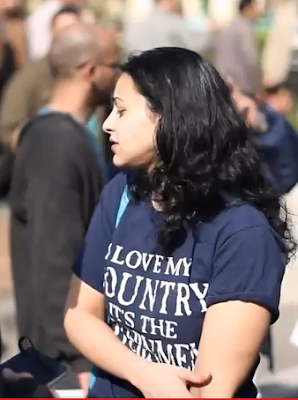 The faces being broadcast out of Egypt today seem to carry the same weight of history. The Super Bowl is an American spectator sport for the advertisements as much as the game itself. After a thrilling finish, the Green Bay Packers hold on to win 31 to 25 over the Pittsburgh Steelers. In the advertisement competition, Chrysler's ode to Detroit wins hands down! 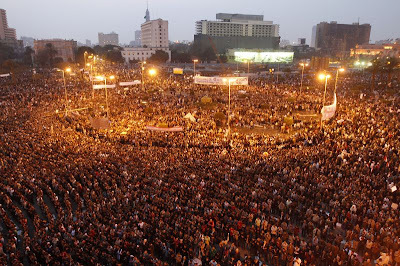 Today in Cairo hundreds of thousands of protesters peacefully gathered to urge Mubarak to step down from his 30 year reign in Egypt. 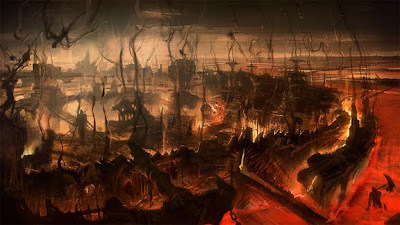 Over the weekend, President Barack Obama sent Frank Wisner as his personal envoy to tell Mubarak that his time is over. This evening, Mubarak spoke via a televised address and declared that he will not seek another term. Elections are scheduled for the fall. 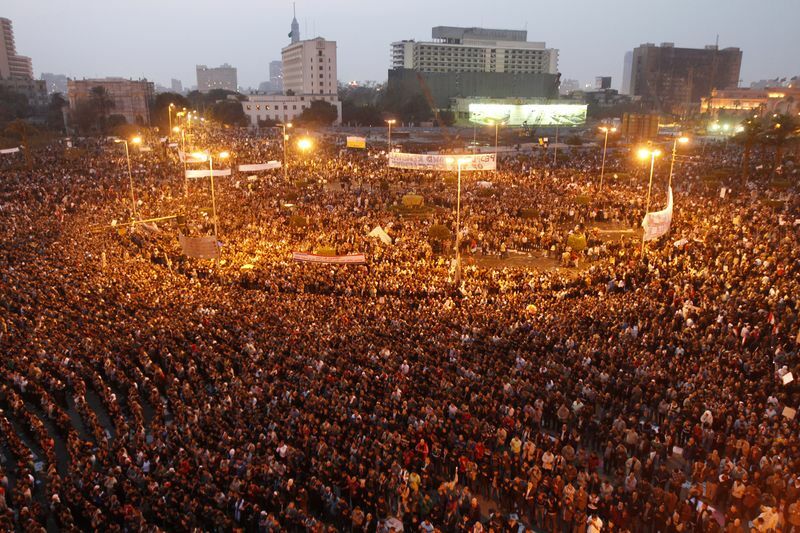 In Tahrir Square, Mubarak's words were not enough. The massive crowd chanted "Erhal! (Leave!) Erhal! ( Leave!)" A US official told BBC's Kim Ghattas that Mubarak's announcement was not enough for the Obama administration either. 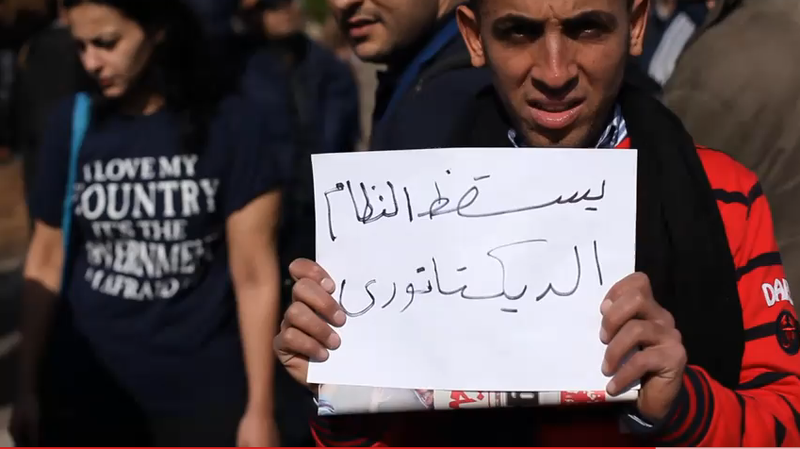 From the White House, President Obama said that a transition in Egypt "must begin now". Interview by Zero Silence from a forthcoming documentary.